Vinod Rai talks about his book “Not Just an Accountant—The Diary of the Nation’s Conscience Keeper”, in which he reveals his experiences as a civil servant and former CAG. 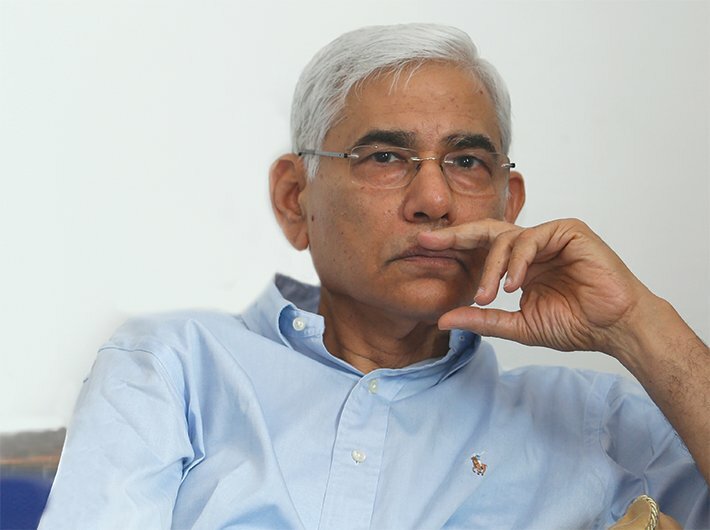 Vinod Rai was the 11th comptroller and auditor general (CAG) of India from January 2008 till May 2013. His tenure was ridden with controversies as he coughed up one audit report after another indicting the UPA government of financial irregularities, including the shoddy preparations for the Commonwealth Games, the discrepancies in the second generation (2G) spectrum for telecom services and the coal blocks allocation scam. He is credited with turning the office of CAG into a credible force for bringing more transparency and accountability in government dealings. Breaking his post-retirement silence, he has penned a book, “Not Just an Accountant—The Diary of the Nation’s Conscience Keeper”, in which he reveals his experiences as a civil servant and former CAG. He spoke with Shreerupa Mitra-Jha. What was the purpose of writing this book? When I retired in May last year, I had no intention of writing a book. I sincerely believed and thought it a bit of a relief to have the CAG saga behind me. I thought that I had had enough excitement, especially in view of the fact that one was getting older. I was doing what is commonly known as the lecture circuit routine and I thought it very interesting to interact with bright people. Unfortunately, I found the debate on a lot of issues like ‘Economy suffers because of CAG report’ etc. not dying down at all and going on till October/November . A lot of colleagues in the audit and accounts department and in the administrative service told me, “Look, you did not speak at all during your CAG days; it is time to put things in perspective.” I was very clear in my mind, and that is what I have written, that people would not have shut up because we are not that class of people. If anything, they would probably get more vituperative. [I thought] Maybe, I should put in my perspective. So I decided to write. This must be November . Of course, the publishers approached me immediately after retirement but I shut them out. They were very keen that I bring the book out in May but that was one of the conditions that I had set; that I would not do that. What I have done is that the basic material was available with me in the form of our reports. See, what happens is that our material is technical. It doesn’t have wide circulation. It reaches parliament, maybe it reaches some media, some offices. Basically it does not reach the bulk of the population. And somehow I was enthused that young people of your age who I call Gen Next are very aware and discerning. It plays out in my mind the fact that in December-January when these young people gathered at Jantar Mantar – not because someone called them but only through social media – it was not to protest, but just to sit there, light candles and express their concern. I was very enthused by that. I have addressed it [the book] to those people in very simple, racy language; I have introduced those reports to the aam janata (ordinary people). That was another objective of reaching out to the Gen Next. Did you ever foresee the kind of repercussions the book would unleash? Those against you told you not to write but did your friends warn you? I did very clearly foresee this, and that is why I have quoted Benjamin Franklin in the preface. People will make vituperative utterances; I knew they would. But you know it is not disappointing or I am not bitter about it, but it surprises me alright. [Laughs] I will tell you why. You and me might have a difference. Let’s debate it out on merit, but why get personal? You get personal when you can’t face me on merit. 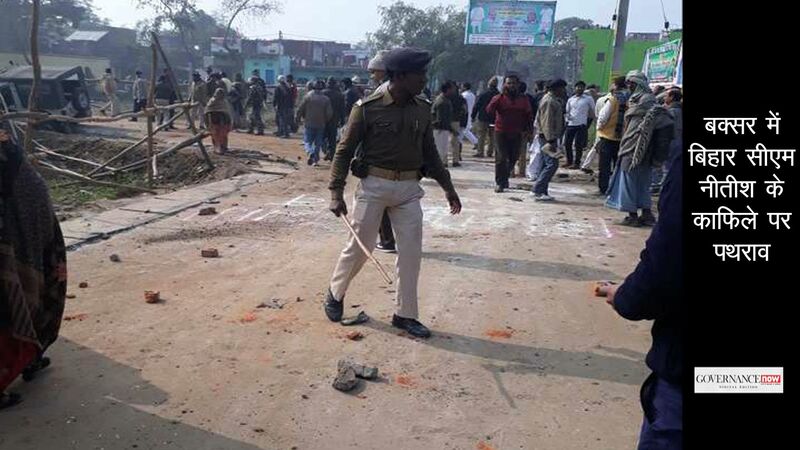 They say I have got BJP leanings or I was responsible for the former government toppling. Why do you have to say that? My argument is simple. In my 35-40 years, I have worked very closely with K Karunakaran, who was a Congress chief minister, and I served seven years in his district. I worked for about four and a half years as finance secretary for Mr Nair, who was the CPI chief minister. In 2001, the CPI (LDF) government lost and the Congress came to power. AK Antony continued with me as finance secretary. When you know my entire background, I think it is a very defeatist, futile kind of a thing [to think] that we can’t harm him in any other way, so let’s get personal. The CAG’s role is very critical. 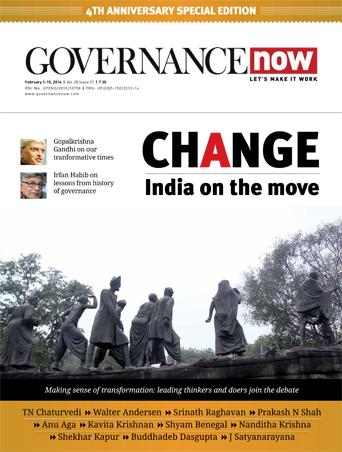 Two sets of reports have been very prominent in the trajectory of the office of CAG: former CAG TN Chaturvedi’s report on the Bofors scam and your reports on a range of scams. Did you have Chaturvedi as a role model? Not really a role model but as far as we in the [audit and accounts] department are concerned, TN Chaturvedi is one of those tall personalities in the department. There are pressures and misgivings and they do not come directly. For me, it has come through the media. Those are indirect pressures exerted on you. To that extent – on the strength of the fact that they are similar challenges – we do and so we were prepared for it. He is one of my mentors, in any case. We have had many experiences of bureaucrats, after assuming const itutional authority, of baring their fangs against the system, for example, Chaturvedi and TN Seshan. Do you feel it is a commentary on the system that perfectly efficient officers need constitutional protection to fight the ills in the system? There is a difference between being in a constitutional post and being in a bureaucratic post. We are a parliamentary democracy. Like it or not, the boss is going to be the executive, which is the minister. He is accountable to the council of ministers. They are accountable to parliament. Ultimately his writ runs. Suppose I am the finance secretary and I may have the strongest of feelings about GAAR [general anti-avoidance rules], the tax rules. What I can only do is express my opinions on paper and the ultimate decision is going to be his [the minister’s]. I have no option after he has taken a decision but to implement it, which is what a faithful civil servant will do and that is the right thing also. The difference of having constitutional authority when I become a chief information commissioner, or CAG [is that] the buck stops there. I am the top man. And then the freedom of decision-making and the responsibility of that decision-making are mine. A sitting CAG might not be able to talk on a lot of issues. Like in my case, even when I have not held a single press conference in my tenure, it was being said that the CAG holds press conferences and leaks [reports] to the media. How can you counter those allegations? I thought it was not proper for me to get into the media space and talk but I continued to write to the prime minister on various issues. I have brought out three or four letters in the book and there must be dozens. I have written to the [then] finance minister, Mr Pranab Mukherjee. That, I thought, was the best way of dealing with the issues rather than getting into the media space. P Chidambaram recently countered your statement and said he did not receive any letter from you regarding bringing public-private partnerships (PPP) under the ambit of the CAG. I don’t think I have said anywhere that I have written to Mr Chidambaram. I was surprised when I saw the statement [of Chidambaram] today. In September 2009, we made a presentation to Mr Pranab Mukherjee on the fact that our Audit Act is of 1971. There was no such thing as PPP or the 73rd or 74th amendment. The PRIs [panchayati raj institutions], the special societies for NRHM [national rural health mission] etc came much later. So he immediately said we should write to him and suggest the amends that we need to make [in the Audit Act]. So in November 2009 I wrote to him on the amendments. In fact, we did not suggest amends but a repealing of the Act. They got back to us suggesting that [the repealing] would be a long-drawn process and so to suggest some amends. In 2010, we suggested that too. So it [the PPP issue] is part of that. I don’t recall personally writing to Mr Chidambaram. Mr Chidambaram says he has verified. And I was looking for what statement of mine he has referred to. Yes, I have written to Mr Mukherjee originally for the repealing and then amendments. If a reminder has gone to him [Chidambaram] then I do not know. I have made no assertion that I have written to him. Do you foresee a point in time when we will have clean accounting sheets? I am very upbeat about a certain degree of correctives in the system. There is no doubt in my mind about that. I am not saying corruption will be wiped out but there will be a certain cleansing of the system. And it has already started. I will tell you why. Whatever Mr A Raja did or whatever happened in the coal issue, now anybody who is taking decisions in that position will be very, very cautious. Because he knows that that decision of his is going to come under people’s scrutiny. So willy-nilly he is going to be held accountable for it and, I think, that is a very good development, because for me as a bureaucrat or for a minister to be conscious that our decisions are going to make us accountable instills a certain sense of responsibility. That is a healthy development. Well, that’s a thing I need to take a decision on. I have not decided anything. Till now I was busy with the lecture circuit, like I told you. But I can’t be certain what I will be doing now.